In the Times' book blog, Paper Cuts, the editors explain the process: They started with a larger list of books reviewed during the course of the year (actually Dec. 2, 2007 through Nov. 30, 2008) and narrowed it down to 100. Duh! In any event, as far as story collections go, these are very good ones--albeit obvious, mainstream choices. Lahiri's and Le's books also appeared on the Publishers Weekly and Amazon.com lists. The final tally of books entered for The Story Prize this year is 72, from 55 publishers or imprints, adding up to a total of 973 stories. Between now and the end of the year, Julie Lindsey (the founder of the prize) and I will be doing a lot of reading in preparation for choosing our three finalists, which we'll announce in early January. To select those books, Julie and I will meet and talk about the collections we each like best until we can settle on just three. Sometimes, we end that meeting without making final choices and take another day or so to think it over. It should be especially hard to narrow the field down to three this year because it looks like we'll have at least a dozen serious contenders. Stay tuned. 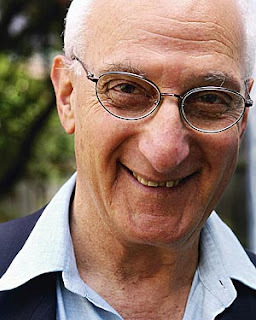 Australian writer David Malouf is the first winner of the Australia-Asia Literary Award for The Collected Stories of David Malouf. 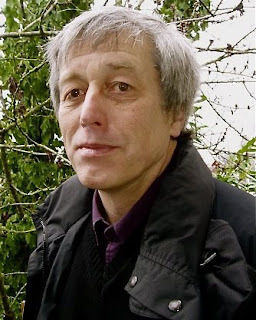 He is the author of three previous story collections, as well as eight novels, six poetry collections, three nonfiction works, a play, and three opera librettos. The prize pays a generous $110,000 (Australian, which is the equivalent of roughly $62,500 U.S.). The Australia-Asia Literary Award is for: "a book-length work of literary fiction written by an author resident in Australia or Asia, or a work primarily set in Australia or an Asian country. Works must have been either written in, or translated into, English and published in the preceding year." As one of the judges points out, this covers almost two-thirds of the world's population. This is a very interesting book award--smart and daring--on several levels. In the first place, the creator and backer of the prize is the Government of Western Australia's Department of Culture and the Arts. It's hard to imagine any branch of any government in the U.S.--local, state, or federal--creating a literary award and funding it so generously. Secondly, not only print but also electronically published works are eligible--a very progressive notion. And finally, the award accepts entries of works in translation or with multiple authors (up to three). They've even established a split for translated works--$88,000 to the writer and $22,000 to the translator. That's always been one of the hurdles to judging translated work, and I think they are right to give the translator a share of the prize. David Malouf is a writer of rare genius. Within the demands of the short story form he can give us a world containing a complex melange of characters, or he can take a single, seemingly insignificant moment and show all the depth and possibility it contains within it. There is tremendous power to his writing—regardless of whether he is describing a boys' encounter with nature or a woman's experience of heartbreak. Malouf is a writer I've heard a lot about and, I must confess, I haven't read. We had hoped to consider The Collected Stories for The Story Prize last year, but we didn't receive an entry, probably because we require our finalists to attend our event, which could have been difficult for an Australian writer. In any event, some have compared his stories to those of Alice Munro and William Trevor. So I think it might be a good idea to catch up with his work soon. 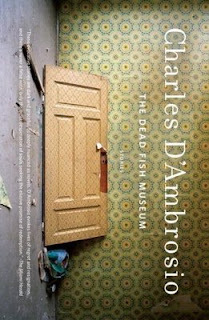 Short story writer Charles D'Ambrosio has won a $100,000 Lannan Foundation fellowship. Past winners known for writing short stories include: Robert Coover, Edwidge Danticat, Lydia Davis, Stuart Dybek, Deborah Eisenberg, Mavis Gallant, Denis Johnson, Edward P. Jones, Steven Millhauser, Lorrie Moore, Alice Munro, Cynthia Ozick, Grace Paley, George Saunders, Joanna Scott, David Foster Wallace, and John Edgar Wideman. It's a pretty impressive bunch, and that's not even the full list. D'Ambrosio well deserves the honor. His 2006 short story collection, The Dead Fish Museum, which The Story Prize designated as a notable collection, is an excellent book. I particularly liked "The High Divide," "Drummond & Sons," and "The Scheme of Things," all of which first appeared in The New Yorker. Authors who write short stories seem to do very well garnering literary honors, including the Whiting Writers' Awards and the MacArthur Foundation fellowships, in addition to the Lannan. It's when it comes to book awards for fiction that novels tend to dominate, which is one reason we created The Story Prize. Clearly, practitioners of the short story form (too bad there's not a term equivalent to "novelist") engender a lot of respect, which nobody can deny. Author Introductions to Story Collections? Yea or Nay? 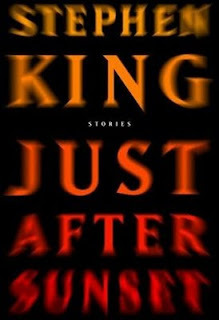 Many of the reviews of Stephen King's short story collection, Just After Sunset, have referred to King's introduction to the collection, which talks about when he was first starting out as a writer and wrote short stories, how he got away from writing them, and how editing The Best American Short Stories 2007 reawakened his interest in the form. It's interesting to see how King's own summation has framed much of the discussion of his work. Many reviewers don't know how to talk about a short story collection as a whole. So, in a sense, an introduction can make a collection more reviewer friendly. In so-called literary short fiction, authors will sometimes introduce their own selected or collected works. 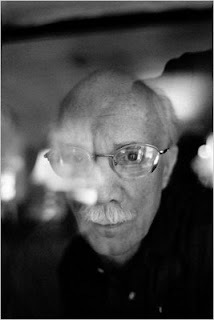 For instance, Tobias Wolff opens Our Story Begins with "A Note from the Author" that addresses the question of whether or not an author should revisit (i.e. tinker with) earlier stories when putting together selected stories. (Notice he doesn't call it an "Introduction.") Wolff did, in fact, revisit earlier stories--and that's the sole focus of his brief note. And, like King's introduction, it has helped frame reviewers' discussion of his book. Of course, ultimately, stories have to speak for themselves. And anyone who doesn't want an introduction can skip it. In addition, a popular writer like King often has a very public, ongoing relationship with his readers, who are likely to appreciate insight into his creative process. Truth is, you could ask why more writers don't share their back story and their insights with their readers. Still, call me a traditionalist, but I generally like short story collections better without introductions. How do you feel about it? How do you feel about short story collections that have introductions? I don't approve of introductions--the stories should speak for themselves. An introduction is sometimes okay. I take it on a case-by-case basis. I like to read introductions. I don't care. Readers can skip them if they want. There's a restaurant in Granville, Ohio, called The Short Story Brasserie. I stumbled on this unexpectedly when I switched to Google Maps on the heels of a Web search for "short stories." The inspiration for the restaurant? Ernest Hemingway. I always envied Hemingway’s hunger for life. He bound the words in his stories together with his passion for food, wine, friends and travel.... This brasserie is intended to bring a world of flavor and culinary adventure to you in the same spirit that Hemingway brought the sights, sounds and flavors of the world to my house. I have always wanted to be a professional writer like Hemingway. Until then, please enjoy The Short Story. The menu carries through on the literary conceit with appetizers listed under Introduction. Chilled small plates, hot small plates, and large plates are Parts I, II, and III. Dessert is the Dénoument, and coffee, tea, and after dinner drinks are the Footnotes (very postmodern). Personally I'd go with Rising Action for the appetizers, Climax for the entrées, Anticlimax for the desserts, and Resolution for the after dinner drinks. The other finalists were: British poet Caroline Bird, South African novelist Ceridwen Dovey, British novelist Edward Hogan, and Ethiopia-born U.S. novelist Dinaw Mengestu. 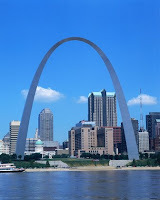 At 29, Vietnam-born, Australia-raised, Iowa Writers' Workshop educated Le squeaked by just under the age limit. At today's exchange rate, the prize comes to roughly $92,000. From our partisan point of view, it's nice to see a short story writer win an award that's also open to novelists and poets. And by the way, on Nov. 17 Nam Le will be participating in the 5 Under 35 reading in New York as part of National Book Awards week. So far his youth seems to be serving him well. "Carolyn, remember that RE/MAX one where as the redhead kid falls asleep holding that Teddy bear rescued from the trash, the bear comes alive and winks, and the announcer goes, Home is the place where you find yourself no longer longing for home..."
President-elect Barack Obama is not the only show in town in Chicago. 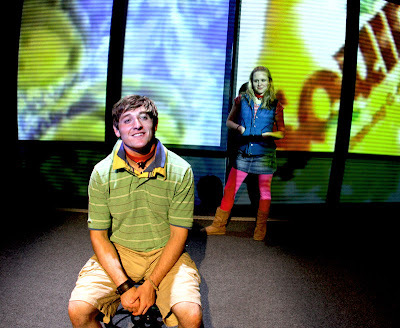 At the Building Stage, from now through Dec. 14, you can see a theatrical version of George Saunders' short story "Jon" (pictured above), adapted and directed by Seth Bockley of Collaboraction. The story is one of my favorites by Saunders, who read from it at our award night on Feb. 28, 2007, when In Persuasion Nation was a finalist for The Story Prize. Jon is a futuristic allegory about teenage love and self-discovery in a corporate universe where television commercials replace life experiences. 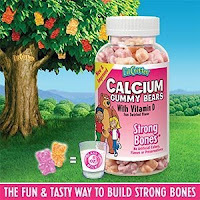 Try it, you'll like it. I bet it's M'm M'm good. It's early November and already a couple of lists of the year's best books are out. 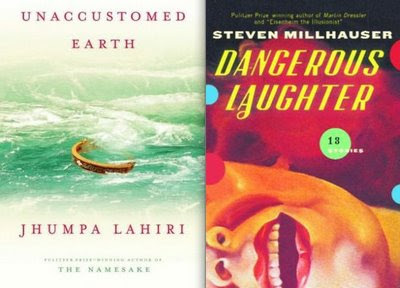 Publishers Weekly has a fiction list of 25 books including three short story collections: Unaccustomed Earth by Jhumpa Lahiri, The Boat by Nam Le, and Knockemstiff by Donald Ray Pollock. Amazon has several numbered lists to scroll through. Their editors' list of the top 100 books--of all types--includes five short story collections. Knockemstiff is the highest ranked, at #21. The Boat is at #29. And Unaccustomed Earth is ranked #39. The other two books in the top 100 are Olive Kitteridge by Elizabeth Strout (#53) and Ms. Hempel Chronicles by Sarah Shun-lien Bynum (#95). Lahiri's book is ranked 18th on the readers' top 100 and #2 on the readers' Literature & Fiction list. Pollock's collection is #10 on the editors' Literature & Fiction list. These are all good books. But I can think of several excellent collections that didn't make the cut. The list of winners and finalists that we announce in early January, will include our choices. In the meantime, I'll keep my eye out for other yearend best ofs. Reflecting a market in which publishers are significantly reining in their printings, Stephen King’s Just After Sunset arrives Tuesday, November 11, with a 900,000 copy announced printing, down from the 1.25 million copies projected last summer. I'm sure that may be disappointing to King and Scribner. But, if you figure that the average print run for a hardcover short story collection is probably under 10,000 (most far under), that means the print run for King's book is roughly equal to the combined run of 90 typical short story collections. That's more than the total number we'll receive as submissions to The Story Prize in 2008. Put another way, if you were to place all of the printed copies of Just After Sunset on one side of a scale and all of the printed copies of nearly every other short story collection published in the U.S. this year on the other, the scale would probably tip King's way. I say nearly all, because Jhump Lahiri's Unaccustomed Earth, which for one week (lest we forget) sat atop the New York Times Best-Seller List, no doubt has far more than the average number of copies in print. If Just After Sunset reaches the top of the list in the weeks ahead, that will make two stoy collections at No. 1 in 2008. Not bad for a form many consider to be foundering. Given King's megapopulatity, it's great that he writes stories because it means that many more people will read them. In fact, I'd guess that, given the powerhouse sales of his book and Lahiri's, more Americans will read a short story collection this year than any past year. King has been a generous supporter of short fiction and of other writers' collections. He also writes some darned good stories. So, literary readers, don't hate him because he's popular. The deadline for entries of short story collections published from August through December of this year is Nov. 14. If finished books aren't available for those with late November or December pub. dates, bound galleys are acceptable. Entry forms and guidelines are available on The Story Prize Web site. Some great books have come our way so far this year, and we're hoping to read several more. Bond. James Bond. Short Stories. "...a precise equation of the amount of comfort necessary between two people if love is to flourish. If this figure is zero, there can be no love." Huh? Is it kind of like an intimacy credit score? Is there such a thing as a subprime relationship? 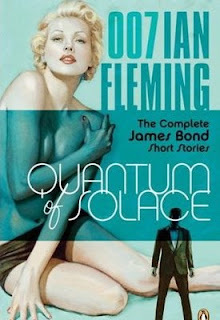 "Quantum of Solace" was originally included in Fleming's 1960 collection of Bond stories For Your Eyes Only and is the title story of the newly released Quantum of Solace: The Complete James Bond Stories--no doubt a good read. Alas, only living authors are eligible for The Story Prize. So, Miss Moneypenny, this is one we won't be considering. On the L.A. Times Web site, in the first of two installments, Ed Park declaims on short stories included in two collections. The headline is: "The Glorious, Oft-Overlooked, Short Story." (Not sure about that second comma.) The two stories are "On Skua Island," by John Langan, from Mr. Gaunt and Other Uneasy Encounters (Prime) and "Biographical Notes to 'A Discourse on the Nature of Causality, with Air-Planes,' by Benjamin Rosenbaum," by Benjamin Rosenbaum from The Aunt King and Other Stories (Small Beer Press). Langan's book is scheduled to be published later this month. Rosenbaum's book is available as a free download or in book form. What connects them is their playful interrogation -- sometimes subtle, sometimes glaring -- of the short story form. They jolt us into fresh ways of reading. Focusing in detail on a particular story is an original and interesting approach to discussing a collection, and I think it works very well. 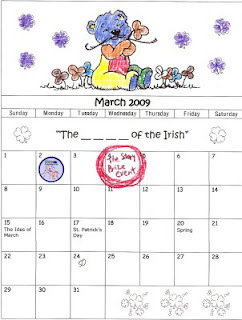 Unfortunately, we'll have to wait another month for part II, because this appears in a monthly column, called Astral Weeks, that Park writes for the L.A. Times site. He is, by the way, one of the editors of the eclectic, snark-free monthly magazine The Believer and the author of a workplace novel, Personal Days. 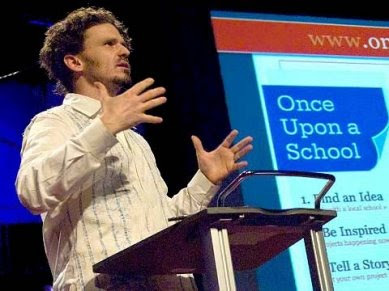 Dave Eggers, a member of the advisory board for The Story Prize, has won a $100,000 TED prize for his work in establishing drop-in tutoring centers for school age kids in cities across the U.S. Starting with 826 Valencia in San Francisco, he has done amazing work, shown real dedication, and inspired many people to get involved with a very good cause. Dave is perhaps best known as the founder of McSweeney's and the author of several books, including a very good short story collection, How We Are Hungry (the net proceeds of which continue to benefit 826 Valencia and 826NYC in Brooklyn). In teaching kids to write better and fostering a love of reading and writing, these centers not only enrich the lives of the students and communities they serve, they also are quite likely helping to create the readers of tomorrow. And nothing is more essential to books, literature, and short fiction than an audience. So, thanks Dave, congratulations, and keep up the good work. This is the third in a series of three posts, each focusing on one of our judges this year for The Story Prize. In 2002, Hannah Tinti and Maribeth Batcha took an interesting and somewhat risky proposition and turned it into a successful literary journal, One Story. As the name suggests, each issue includes one and only one story. And every three months a simple pamphlet that's easy to slip into a pocket arrives in subscribers' mailboxes. Tinti actively edits each story that appears, and the Brooklyn-based magazine has a reading series and a Web site featuring author interviews. Among the authors published over the course of 109 issues are: Chimamanda Ngozi Adichie, Arthur Bradford, Judy Budnitz, Ron Carlson, John Hodgman, Owen King, Rattawut Lapcharoensap, Kelly Link, Roxanna Robinson, Dani Shapiro, Scott Snyder, Jean Thompson, and Kate Walbert. Beyond the success and admiration she has earned through her work as editor of One Story, Hannah Tinti is also an accomplished author in her own right. 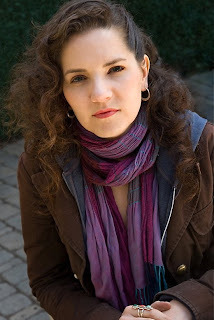 She published a collection of short stories, Animal Crackers, in 2004, and most recently a novel, The Good Thief. Her accomplishments as a writer and her devotion to the short story, make Hannah an ideal judge for The Story Prize. 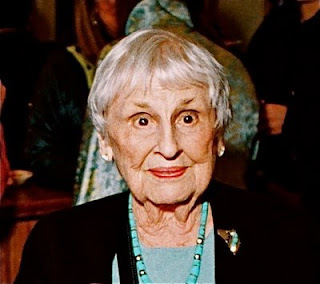 Addendum: Ron Hogan has a post on Hannah in GalleyCat, as does Maude Newton. Both have lots of links to other interviews and reviews. This is the second in a series of three posts, each focusing on one of the three judges this year for The Story Prize. Rick Simonson has worked at Seattle's Elliott Bay Book Co., one of the U.S.'s leading independent book stores, since 1976. He founded and continues to help run Elliott Bay's internationally-recognized author reading series, which has presented writers from around the world since 1984. 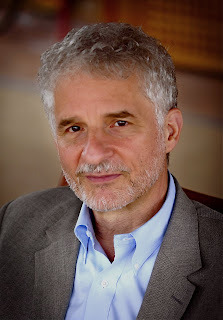 Rick is a founding board member of Copper Canyon Press and has served on numerous advisory boards and panels for the American Booksellers Association, the Seattle Art Museum, Seattle Arts & Lectures, Seattle Review, the Miami Book Fair, and the Beijing Book Fair, among others. He writes a column, "Mist Place," for publishersweekly.com. But all of that doesn't tell the whole story. Rick has established a national reputation for himself through sheer dedication, a love of books, a sharp eye, and indefatigable enthusiasm. The reading series at Elliott Bay isn't just a couple of authors a week; it includes book groups, play readings, and programs outside of the bookstore--at Seattle libraries and cultural centers--nearly every night of the week, year round. And he does all of this not to sell books but to sell what they have to offer. Rick is someone whose opinion publishers and editors solicit and whose enthusiasm for a book can help it find a sizable audience. We're fortunate to have him as a judge for The Story Prize. This is the first in a series of three posts, each focusing on one of the judges for The Story Prize this year. Daniel Menaker has a long involvment with short fiction in several capacities. He was an editor at The New Yorker for twenty years, where he was the first to publish such authors as Michael Chabon, Michael Cunningham, and Jennifer Egan. While there, he also worked with Elmore Leonard, Alice Munro, Salman Rushdie, and Isaac Bashevis Singer, among others. In 1995 Dan left The New Yorker for publishing, joining Random House as Senior Literary Editor. After a stint at HarperCollins, he became Editor-in-Chief of the Random House editorial imprints in 2001, where he worked with such authors as Billy Collins, Gary Shteyngart, Colum McCann, Benjamin Kunkel, and Sister Helen Prejean. On top of all of that, he's the author of two books of short stories--Friends and Relations and The Old Left--and a novel, The Treatment, which was made into a film in 2006. Dan continues to contribute to such publications as The New Yorker, The New York Times, Slate, and the Huffington Post. Presently he's working on Can We Talk?, a book about conversation, and is the editorial producer and presenter for the online talk show about books, Titlepage (titlepage.tv). The program is currently on hiatus, but on the Web site you can view six hour-long episodes, each featuring a discussion with four authors. (Episode 4 includes Elizabeth Strout, author of a book of connected stories, Olive Kitteridge. 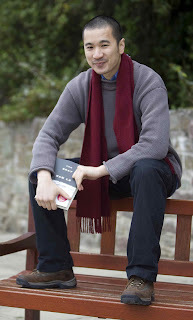 And Episode 5 includes short story writer Nam Le (The Boat).) If you haven't seen the show yet, check it out. You'll learn how knowledgeable and insightful Daniel Menaker is about literature--qualities that will no doubt make him an excellent judge for The Story Prize. Each October, we announce the three judges for The Story Prize. This year, we're thrilled to have former New Yorker fiction editor, onetime Random House Editor-in-Chief, and author Daniel Menaker (left); Rick Simonson (center) of The Elliott Bay Book Co. in Seattle; and author and One Story editor Hannah Tinti (right). I'll be posting more detailed information about each judge over the next few days. Suffice it to say, we think we have an exceptional and exceptionally qualified group of judges for 2008. How do you decide the composition of the panel? Traditionally, each year one of the judges for The Story Prize is a writer. We alternate between an independent bookseller and a librarian for the second judge. We've had editors, critics, and bloggers as the third. And some judges have fallen into more than one category. Why not have only writers judge, as most other book awards do? We think having a more diverse group of judges adds an interesting dimension to the process. The short story doesn't only belong to writers. Readers, teachers, students, librarians, booksellers, editors, and critics are also part of the short story community. And we want to associate as many different types of people as we can and give a wider range of people a connection with the prize. Each judge reads the three books that Founder Julie Lindsey and I choose as finalists in early January and then votes for his or her favorite. The process is confidential--we never disclose what book a given judge voted for. What happens if each judge votes for a different book, resulting in a tie? The judges also give us their second choices to serve as tie-breakers. If this, too, isn't definitive, and we can't break the tie after consulting with the judges, Julie Lindsey and I decide the winner. That hasn't happened yet. Why don't the judges also choose the finalists? There are two reasons for this. One is that, in our view, it's too much to ask of the judges. The Story Prize receives approximately seventy five entries each year, which would require a lot of time and attention on their part. We want this to be fun, not onerous. In addition, we believe a two-tiered system, in which we choose the finalists and then turn the final decision over to a group of outside experts to choose the winner, is the best way to do it. Who have the judges been in previous year? Of course, I'm disappointed that none of the five finalists for the National Book Award for fiction are short story collections. There were some good ones this year, however, I don't want to tip our hand by saying what I think should have been in the mix. Still, the judges--Gail Godwin, Rebecca Goldstein, Elinor Lipman, Reginald McKnight, and Jess Walter--read 271 books, and having not read the same ones, it's hard to take issue with their choices. They deserve a lot of credit for devoting themselves to this task. My wife, Alice, was a judge in 2003, and I know what a huge, time-consuming job it is. In any event, at face value, it looks like the panel made interesting choices, and I hope this will bring more readers to what are sure to be very worthwhile books. Small presses, including university presses, deserve a lot of credit for supporting short fiction. Nearly half the books we receive as entries for The Story Prize come from them, and every year we read a lot of quality work outside of commercial publishing. Some small press publishers are extensions of literary magazines, such as McSweeney's, Open City, and Tin House. Others are independent publishers, including Beacon Press, FC2, Graywolf, Milkweed Editions, Sarabande Books, and Small Beer Press. And then there are the university presses, some of which publish story collections every year as part of awards they sponsor. 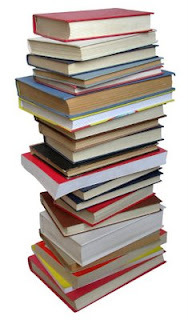 Among these are the University of Georgia Press (Flannery O'Conner Prize), University of Pittsburgh Press (Drue Heinz Literature Prize), and University of Iowa Press (John Simmons and Iowa Short Fiction Awards). 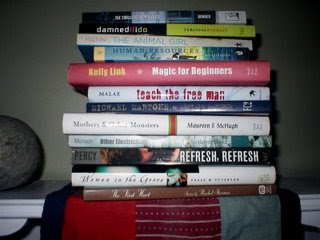 Other university presses--including Carnegie-Mellon, LSU Press , and Ohio University/Swallow Press--simply publish a fair amount of short fiction. Small presses often launch careers, sometimes resuscitate them, and also can sustain them. Having smaller organizations allows editors to take chances that commercial publishers most likely wouldn't. As a result, small presses publish more experimental fiction, and they can choose work primarily on the merits without necessarily having to calculate how promotable a book or author is. On the other hand, small presses don't have nearly the means to publicize work that big commercial publishers have. A good source of information on small and university press publishers is the Council of Literary Magazines and Press (CLMP). These publishers provide vital support to the short story, so it's well worth supporting them. 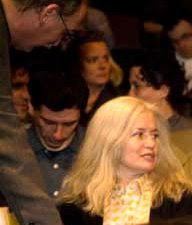 Amy Hempel is this year's winner of the Rea Award for the Short Story, which is given annually to a living American or Canadian writer whose published work has made "a significant contribution in the discipline of the short story as an art form." The $30,000 award is not given for a particular collection or even a body of work but rather for the originality and influence of the author's work. 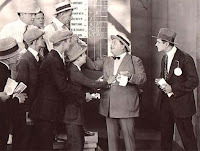 A three-member jury of writers (which I'll supply when I get that information), chooses the winner. The award started in 1986 and its winners are a who's who of American and Canadian short story writers. Last year's winner was Stuart Dybek. The photo to the left was taken at The Story Prize event in February. That's Story Prize Winner Jim Shepard (before he knew he was the winner) leaning over to greet Hempel, whose attention seems elsewhere. Congratulations to Amy Hempel for achieving this honor. Update: It turns out the jury for the 2008 Rea Short Story Award consisted of Sheila Kohler, Margot Livesy, and the aforementioned Jim Shepard, which makes the choice of photo even more opportune. Here, from the New Yorker Festival blog, is a post by Andrea Walker, boiling down to bullet points part of an onstage conversation between Alice Munro and The New Yorker's fiction editor Deborah Treisman, which took place on Friday night, Oct. 4. Munro, despite the praise (deserved) that writers, editors, and critics have lavished on her for many years, remains modest and amusingly self-effacing. This Sunday's New York Times Book Review features "The Ambition of the Short Story" a back page essay by Steven Millhauser. I'll let it speak for itself and simply recommend Millhauser's short fiction to anyone who hasn't read his work before. He's a brilliant miniaturist and fabulist, though also much more than that. His novel Edwin Mullhouse: The Life and Death of an American Writer 1943-1954, by Jeffrey Cartwright is an amazing book. Millhauser currently has a collection out called Dangerous Laughter: Thirteen Stories. In addition, he has published four other story collections: In the Penny Arcade, The Barnum Museum, Little Kingdoms, and The Knife Thrower and Other Stories. The title story of that last book was the second prize winner in Prize Stories 1998: The O. Henry Awards, brilliantly introduced by judge Mary Gaitskill. Millhauser may be best known to a wider audience for his story "Eisenheim the Illusionist," which was the basis for the film The Illusionist.